At American Family Fitness you aren’t alone. With our personal training, small group training, and nutritional programs, we are with you every step of the way to help you reach your fitness goals. Our gym in Chester understands the different needs and exercise preferences of our members -- and that's why we offer various training options. For those who need one-on-one coaching and motivation, American Family Fitness offers personal training. 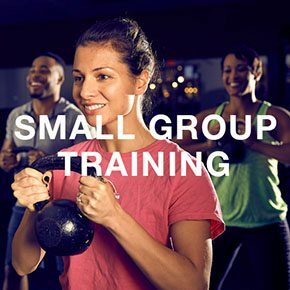 For the added inspiration of a group, we also offer small group training with limited class size. We offer nutritional training, too, for the added knowledge of how food and exercise work together for the best results in health and wellness. Personal training is great for everyone, whether a beginner or an elite athlete. 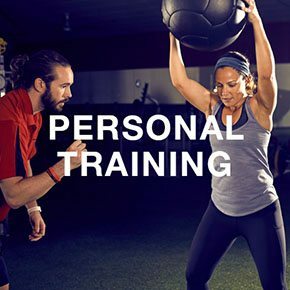 At the best gym in Chester, a certified personal trainer will be with you every step of the way, starting with finding your baseline fitness level, helping you create goals, teaching you about the equipment and technique, and figuring out the intensity and duration of exercise. Come speak with someone today! Are you looking for a one-on-one feel -- but enjoy the energy of others around you? At our Chester gym, we offer small group training with individual instruction and direction -- combined with the enjoyment, motivation, and competitive aspect of group exercise. Proper nutrition is an important part of leading a healthy and fit lifestyle. 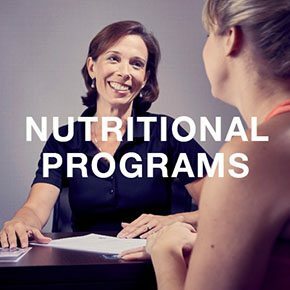 At our Chester gym, we offer registered dietitians who are always happy to discuss the programs we offer that will help you become healthier. You will learn about food options, the best types of exercises, and weight loss solutions designed to help you reach your goals. Come in and meet with someone today!